​The running back buzz at Pittsburgh Steelers camp isn't entirely centered on ​the absence of superstar Le'Veon Bell, who is refusing to sign the franchise tender the team offered him. No, there's room for more narratives now that Week 1 of the NFL regular season is finally upon us (!). And it's time for the fans in Pittsburgh to get better acquainted with James Conner. 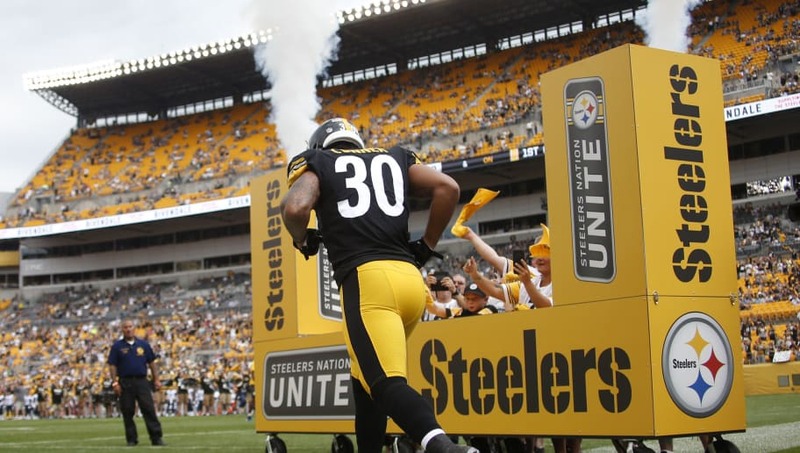 Per Ed Bouchette of the Pittsburgh Post-Gazette, the Steelers are leaning increasingly toward starting Conner Sunday against the Browns even if Bell reports on Wednesday ​as has been rumored. ​​This is a tremendous vote of confidence for Conner, a 23-year-old cancer survivor who has turned heads through his relentless effort in camp. It's hard not to be a fan of this kid, a Pennsylvania native who played his college ball for the Pitt Panthers. For what it's worth, the same cannot be said about the Pro Bowler he'd be stepping in for. One thing was clear in that #Steelers locker room today. Players believe in James Conner. They all praised his work ethic and improvement in blitz pickup among other things. As if a big-time first look at the 2018 Cleveland Browns wasn't enough of a reason to tune in to watch the Steelers Saturday, a potential coming-out party for a local boy making good should put things well over the top.